These decorative blooming bowls are fun to make and are a great way to bring a bit of summer sunshine indoors. 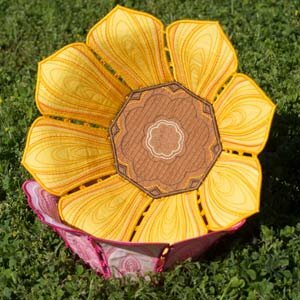 Use the two included styles and your own fabric and thread colors to create a bowl bouquet! Bowls measure over 10" across.